IBADAN EXPRESS-ROAD CLAIMS OLUBADAN'S DAUGHTER! The Olubadan of Ibadan land, Oba Saliu Adetunji is mourning as he recently lost one of his daughters, identified as Mujidat Alagbada, on Tuesday in an auto crash and has been down since then. He said, “Olubadan is sad because of the death of his daughter. 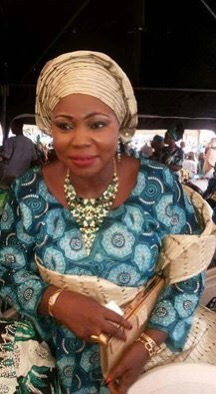 She was the wife of a popular music promoter, Alagbada. She was going to her shop when her personal vehicle broke down. She chartered a taxi but on the way, the taxi was involved in an accident around the tollgate in Lagos. Sources said that the late Princess Mujidat who had been buried according to Islamic injunctions in Ibadan.